Ted McCann is clearly one of those special people who is driven by a passion for quality and aesthetic appeal—a southern California surfer who listened to punk rock as a kid and became fascinated with all things audio. He took some time recently to explain to TheToneKing.com, the essence of Bullet Cables and how it came to be. Living in LA a few blocks from skid row and near a number of venues where bands played, on the way home from a bar one night in 2000, Ted saw a bullet casing in the gutter, compliments of, perhaps, LA’s finest. He picked up the Luger 44. brass casing and pondered its conductivity potential, exclaimed something akin to “eureka!” to his clubbing compadre, and then proceeded to stay up until 4am fashioning the round into the very first Bullet connector. He wanted a certain sound and a certain aesthetic and he was pretty well convinced serendipity had smiled upon him. A distinctive elongated brass connector that has that hard-to-fake cool factor was born that night (well, morning technically) and voila! the Silver Bullet thus became unleashed. They made a cable that is actually fun: a specific design that is affordable but professional and possessing that cool factor mojo aesthetic quality. You really notice the aesthetic character of these cables and that distinctive elongated shell casing connector. This crucial event, coupled with his growing fascination with making a better coiled cable would reveal a solid product identity on Bullet’s own terms. A product that would stun many of us, following that intriguing cable test with a Voodoo Labs switcher in The Tone Lounge and the dang thing noticeably outperformed even the vaunted mucho expensivo Monster cables! Coiled cables held an initial appeal for not getting tangled up under your feet and essentially following the performer in a no-muss-no-fuss fashion. Since both Hendrix and Townshend were sometimes intoxicated, this was likely especially appealing to their managers fretting over their cash cows. I joke, I joke, I kid, I kid; BUT those coiled cables of yesteryear were thin by today’s standards and cheap. But that look! It’s a distinctive aesthetic and even visceral appeal to the eye somehow and sometimes it takes a genuine artist—like Ted McCann clearly is as a result of his unmistakable drive and bonafide artistic leanings. It feels like you’re talking with the Steve Jobs of guitar cable. 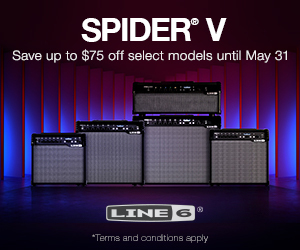 Overcoming the stigma of cheapness that was inherent with the original coiled cables that we all used to see Hendrix or Townshend using in the sixties and seventies became a new goal as a potential niche in the market was recognized. It took some time but Bullet stayed their course and it paid off. Bullet Cables built themselves from the ground up. Three things: very durable and easy to use, true sonic full frequency range with no noise, and, lastly: that cool factor. This is at the heart and very essence of what Bullet focuses on. It’s got that same ahead-of the-curve feel to it that you sensed when you first saw your favorite Apple or Macintosh product. Ted tells TheToneKing.com, that the smaller the connector and cable the more likely the AM radio sound, harkening the death of a cable or worse. Well, that was at the core of the old coiled cable’s shortcomings. They did many trials with connectors to find the best durability specs as well as gauge. Think of it as bulking up by lifting weights and being able to survive a car crash all the better for your body’s extra muscle mass and being in shape. Any edge, the hard science drives the tweaks. Cable length requires some real science and this comes very much into play as well; capacitance is only part of the picture. Any distance a signal travels will introduce some degradation. Ted and Bullet found 33 feet to be optimum in cable tests. 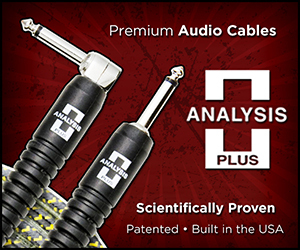 Bullet even puts frequency response charts on their cable packages. He was inspired to do this by the old Maxell cassette tapes (remember those?) that used to have those frequency response charts on the back of the tape case. But listening is still more important than anything with this stuff—regardless of specs. Ted stresses this to TheToneKing.com regarding virtually everything they do at Bullet. They wanted a long cable for really big stages and they found 33 feet proved to be the sweet spot consistently. An odd number—literally—oh well. One day it may be a foregone conclusion and industry standard. I’d bet a few bones on that. These guys are musicians and not interested in becoming a marketing behemoth. Bullet has their own standards that they follow. This is very personal for a trailblazing guy like Ted. You almost get the impression the guy eats, sleeps and drinks guitar cable innovation. They look at it from every angle. No price point blah blah, no ‘what is someone wanting / willing to pay?’ going on at Bullet; no nonsense. This is real and they clearly pay attention to the pitfalls many others have experienced by becoming too big and then faltering and losing their way. Money can do that too. What they’ve discovered is durability, sound quality, and the cool factor. Tone is the measuring of the sound, and where it confirms optimum sound delivery is the only acceptable outcome for Bullet–seriously. The cable you choose IS important. As a matter of fact: it’s vital. This is almost like trying to argue with science about global warming…really? Y’know? The SIZE is hugely important too. That gauge needs to be robust and Ted wasn’t going into any detail here because it might be akin to the trade secrets of Coca-Cola back in the day or something. Hi to mid and mid to low, tight and punchy at the mids and warm lows—transparency, airy, nothing in between you and your rig. Mike Meyers says “Like buttah!” Well, let’s describe this as “Like watah!” (If you’re on the East Coast;) Your signal is flowing at the optimum outer limits that technology will provide for you here on Planet Earth in the year 2011 and beyond. If you buy a new Corvette—as Ted astutely pointed out—and six months later you’re buying new tires, would you want to throw some cheap tires on a machine like that? No! You just don’t do that. The same holds true with your guitar rig. If your guitar rig is akin to a musical version of a Corvette, you don’t want to defeat the purpose of all you’ve put into that. Conversely, a piece ‘o crap rig can actually benefit from a cable of this quality and plainly be evident to the naked ear. Tone is so personal. We know what we want when we hear it and it’s all about experimenting. Go to the bother of being a scientific engineer with your equipment. You are shooting for fullness. You can always subtract from that though but fullness is something we all want in our sound arsenal. TTK gets it, and is pretty damn impressed with Bullet cables. “It feels good when someone gets your product!”, Ted beamed. Additionally, Bullet Cables’s website will show you a plethora (yes, I said a plethora, my friends) of options such as the SLUG Kit in customizing your own custom cable lengths for your one-of-a-kind pedalboard and your exact desires in cable length from guitar to pedalboard and pedalboard to amp and any other fantabulous concoction of cabling you can imagine. 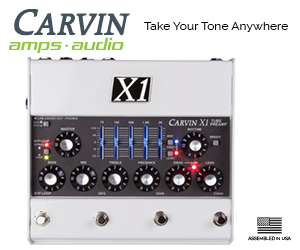 You are the ultimate arbiter of tone—the king or queen of all you survey of your tonal kingdom. We’re guitarists, dagnabbit! Our tone is deeply personal and means EVERYTHING to most of us. Your tone is literally your voice on a guitar. And with the kinds of advances increasingly taking place with gear, it is senseless to be dismissive of something as crucial to our tone as the once lowly and humble guitar cable. Speaking with Ted, I could almost feel him contemplating the future and being one step ahead of everybody else. Bullet Sound: Expert Sound Disguised As Cool Stuff is a dignified and apropos logo but it only barely begins to infer how pleased you will be with the end results.